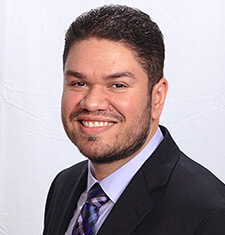 NIU alum Jesse Ramos, class of 2002, has contacted his alma mater about a recent CNN article that highlights him and other minorities as part of a series on the lack of diversity in corporate America. “I just wanted to share this story with you and to also let you know how grateful I am to NIU and the CHANCE Program for giving me a chance!” Ramos wrote. Google received bad press after releasing its first public employee diversity report, which revealed that its employees are overwhelmingly white and male. According to CNN, Google admitted that the company is “not where we want to be when it comes to diversity.” The report shows that 70 percent of the Google staff are men and 61 percent are white. Asians make up 30 percent, Hispanics represent 3 percent and blacks are 2 percent of the total staff. Ramos works as a business process professional at Wells Fargo. He holds a bachelor’s in psychology with minor in business administration.